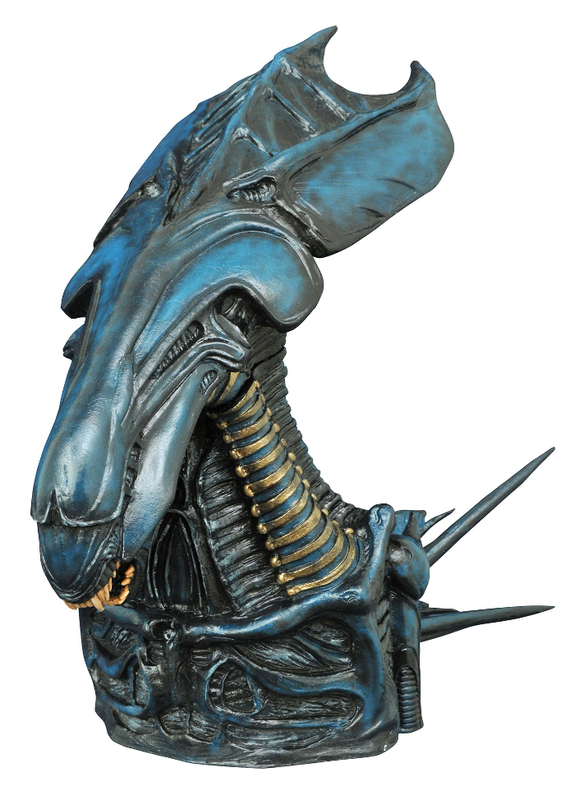 Diamond Select to Release Queen and Giger’s Alien Money Bank! The Diamond Select “Big Chap” Alien money bank will be available Summer 2016. The Queen Alien money bank is available to purchase now. 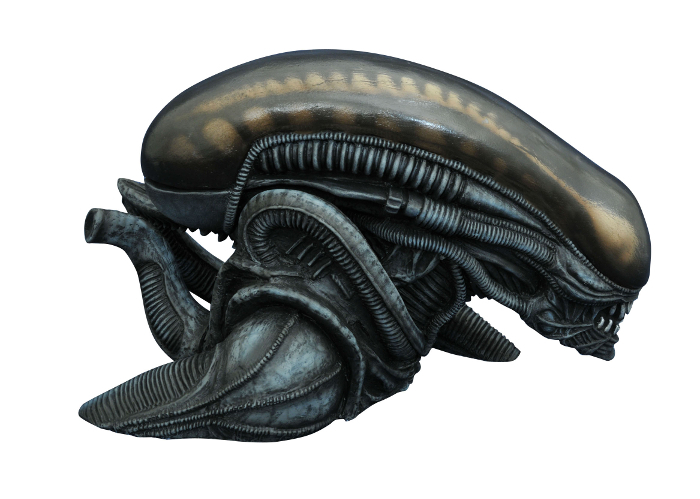 The Queen money bank is available to purchase now and the H.R Giger “Big Chap” Alien bust will released in “Summer 2016.” The two busts retail at around $30, the same as the previous money bank busts that Diamond Select released. Thanks to Helmi Abdat via the Alien vs. Predator Galaxy Facebook page for the news. There's a couple of new bust banks from Diamond Toys coming out soon as well. Go deeper into the jungle with this vinyl bust bank of an unmasked Predator! With his mandibles out and his shoulder cannon at the ready, this hunter is protective of his prize, and his prize is your loose change! Insert coins through a slot in the back and remove them through an access door in the base. With a detailed, collectible-quality sculpt by Eli Livingston, you'll take one look at this Predator Masked Bust Bank and say, "You are one ugly money-saver!" Very cheap but the quality is pretty good. I still plan on getting the Egg and maybe the Big Chap. My wallet is gonna get emptied. There is an egg bank lol Theres one sitting on my shelf right now. Think i'll pass on these. Hopefully we'll see something like an Urn or Giger's original Necronomicon beast. We need an egg bank. Obviously for your nest egg. Now that would be a cool money bank! It's a reasonable size. It'd be massive if it were in scale with the Warrior! Personally I'm looking forward to that Big Chap most. Just need to actually pick one up! There's a review of the Queen bank here: http://news.toyark.com/2016/04/07/diamond-select-toys-alien-queen-bust-bank-toyark-photo-shoot-201167 They seem to have a problem with the size but it looks pretty big to me.